What's not to love about fall (or autumn, as I prefer to call it)? From pumpkin lattes and every pumpkin baked good imaginable, to the start of football season, cozy sweaters and designer boots, caramel apples, hot cider, the beautiful colored foliage, hayrides and the crisp cooler weather, autumn is all about comfort and warmth! It's time to pull out that fleece jacket from the closet, bring that quilted blanket to the football game, and eat a big bowl of chili. 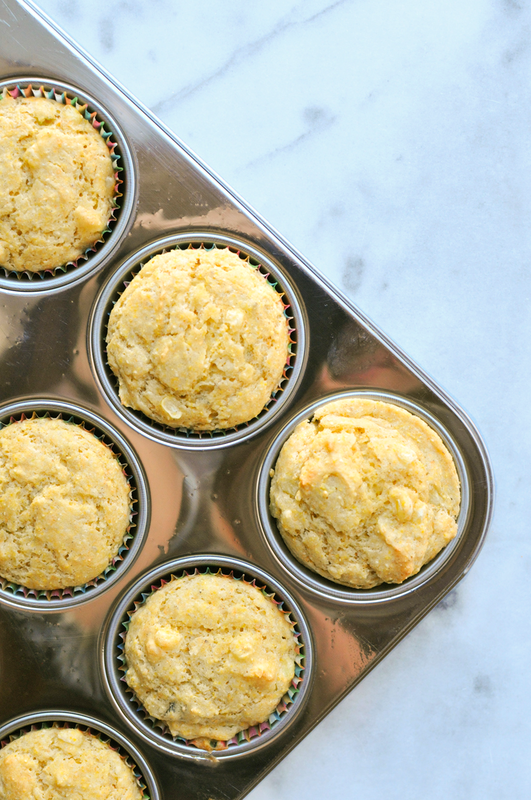 Pair it with a slice of perfectly baked cornbread, smeared with butter, and drizzled with honey... OMG. It's enough to make me say, "Sayonara" to beloved summer! 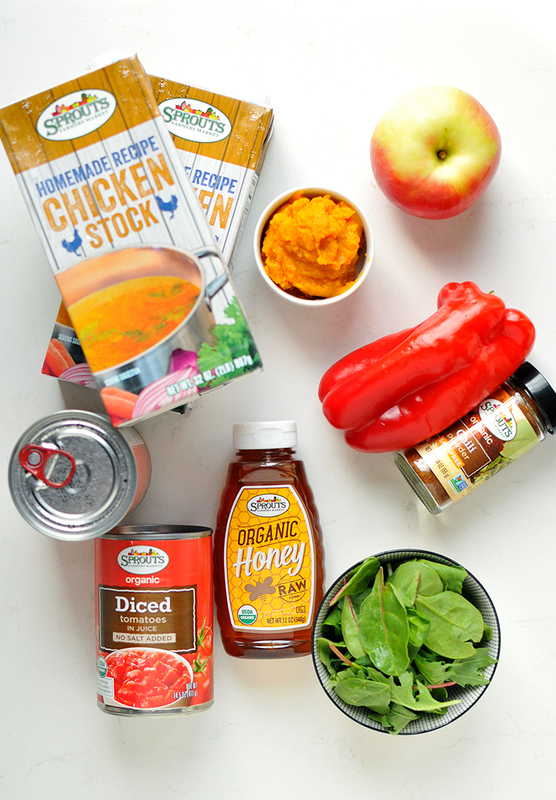 With the addition of diced organic apples and butternut squash puree, this is a perfect chili to welcome autumn. I love that Sprouts Farmers Market has so many private label organic foods to choose from: organic tomatoes, beans, super greens, raw honey, spices, chicken stock... there are literally hundreds--- at really good prices. It really is that good!! 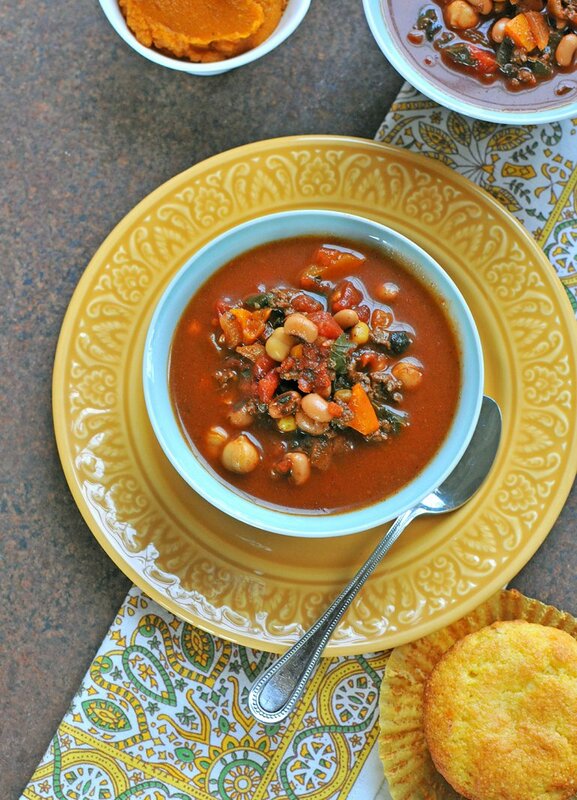 It's the easiest way for me to get Babycakes and Dear Hubby to eat good-for-you things like: beet greens, bell pepper, black-eyed peas, chickpeas, and corn. 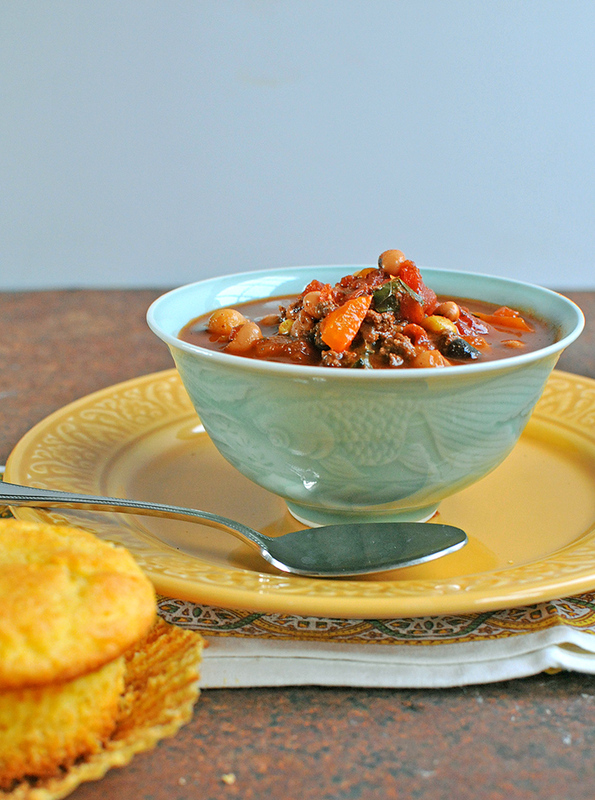 You could even throw in a cup of cooked quinoa if you want, like I did in this chili. 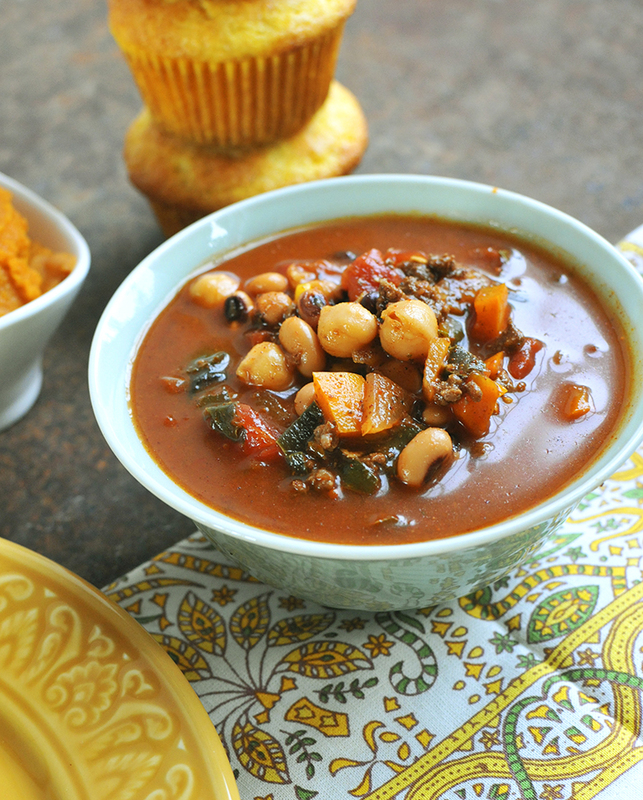 This chili pairs perfectly with a couple of my Superfood Cornbread Muffins. Are you ready to embrace fall? Which fall flavor do you love most: pumpkin, apple, or caramel?